If you want to know the information about the retired American professional soccer player, you have to check Mia Hamm Facts. Mia was born as Mariel Margaret Hamm on 17th March 1972. In the past, she played for United States women’s national soccer team as a forward. She is also famous as the founder of Washington Freedom. If you are interested to find out more about the inspiring Mia, read the following post below. 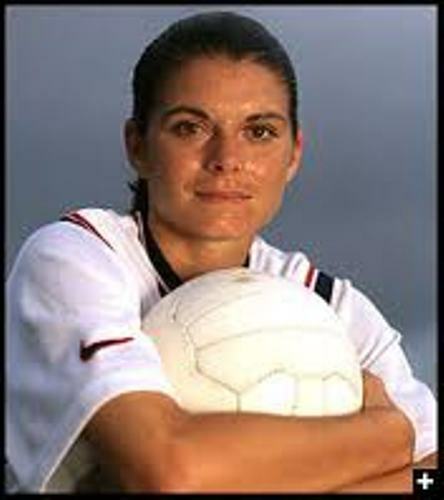 Mia Hamm is famous because of her record in the international goals. In the history of soccer, she had made goals more than any male and female players. But Abby Wambach took her record after she scored more goals in 2013. She was honored when she received the women’s FIFA World Player of the Year in 2001 and 2002. She is also included in 125 best living players of FIFA. She was selected along with her teammate Michelle Akers by Pele. Check other famous players in soccer facts. Go For the Goal: A Champion’s Guide to Winning in Soccer and Life was written by Mia Hamm. This documentary was aired at HBO. 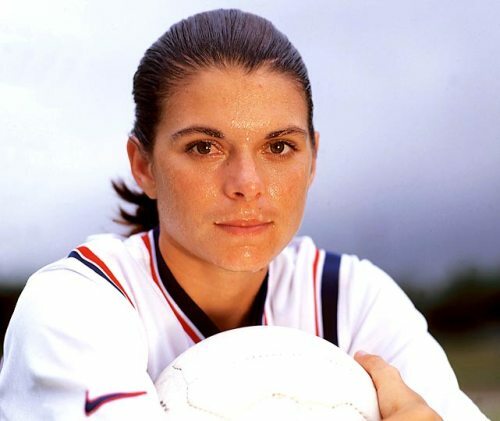 You can find Mia Hamm’s name inducted in some Hall of Fames such as the World Football Hall of Fame, Alabama Sports Hall of Fame, National Soccer Hall of Fame and Texas Sports Hall of Fame. Do you know that the title of the third most capped female player is taken by Mia Hamm.? She is behind Kristine Lilly and Christie Rampone. During her career as a soccer player, she had appeared in 275 international matches. She also holds the record of the player with the most assists with 144. Michael Wilbon is the famous Washington Post columnist. He called Hamm perhaps as the most important athlete of the last 15 years in his Story of US Women’s Soccer team. Hamm was born in Selma, Alabama. Her parents were Bill and Stephanie Hamm. There are six children in the family, but she is the fourth child. Do you know that Mia Hamm was born with a club foot? She always wore corrective shoes when she was a toddler. During her childhood time, she lived with her parents and sibling on United States Air Force bases. The family of Hamm often moved a lot due to the job of her father. She moved in Texas, San Antonio and Italy. Hamm was introduced and interested in soccer when she was in Italy. It made her involved much with football. 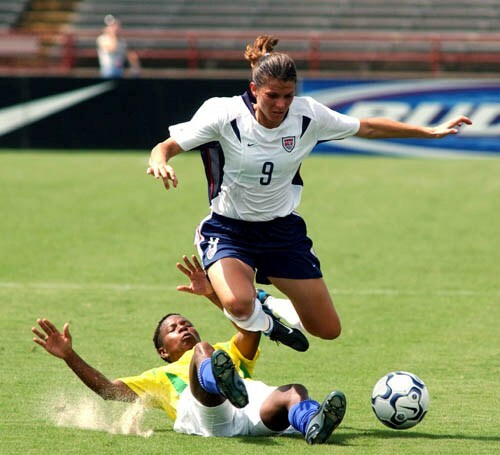 Are you fascinated with facts about Mia Hamm?